I am pleased to welcome staff, students, and other stakeholder groups, to our Department of Economics for the 2007/2008 academic session. I would like to specially congratulate and welcome our new students; whom I invite to share in the culture of excellence that our Department is uniquely associated with. The Department has been able to grow from strength to strength over the last five decades. This has earned it a reputation as a leading Department in economics education and research within the African continent and globally. This feat has been achieved over-time, through the untiring efforts of the staff and management, who are desirous to sustain and improve upon our standard. This is with a view to empowering the Department adequately for the development challenges of the 21st century, in which the Department will be expected to continue to play a pivotal role towards overcoming these challenges. We believe our greatest resource for sustaining and advancing in this culture of excellence is our alumni, starting from our new intakes. We therefore enjoin you to brace up for this challenge, first by excelling academically, and secondly, by being a role model in good citizenry and leadership traits among your peers. The Department has put in place some basic structures and processes towards helping you to live up to this expectation. We therefore encourage you to avail yourself with these empowerment facilities at your disposal. 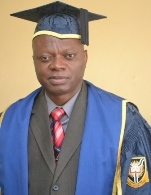 Once more, welcome on board, with best wishes for a resounding success of your tenure, in whatever capacity, with the Department of Economics in particular, and the University of Ibadan in general.